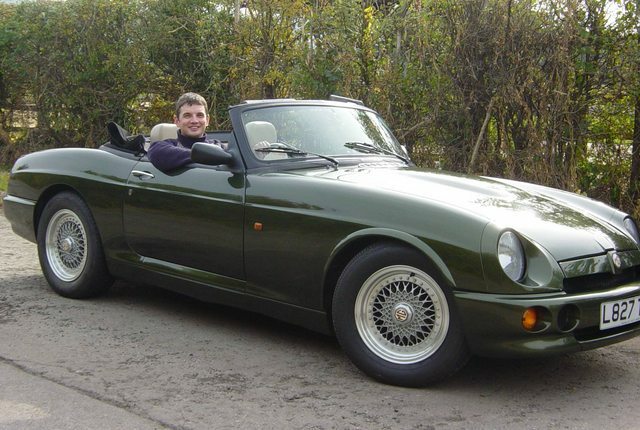 A weekend with an MG RV8 – HubNut – celebrating the average! Ten years ago (and a few months) I’d reached the age of 25. This meant I could do a lot of new things. Like hiring a really nice car! 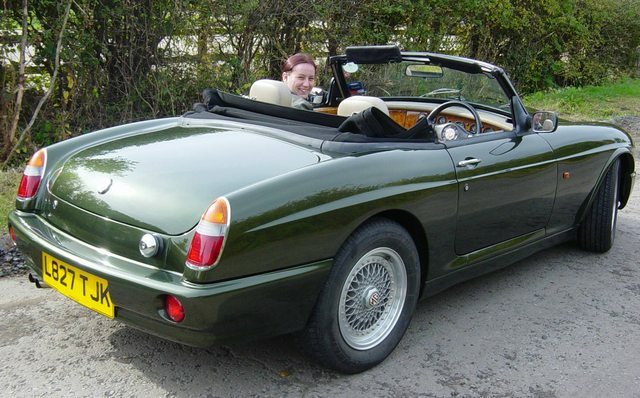 Thanks to The Open Road near Stratford Upon Avon, I was able to swap the 29bhp of my 2CV for 190bhp of glorious V8. This was before I even considered getting employed as a classic car writer, so it really was a dream opportunity. I seem to recall we covered 200 miles in one day alone, and that we seemed to make a lot of visits to petrol stations. Every village was an opportunity to burble through at 30mph, before burying the throttle as the National Speed Limit signs appeared to enjoy the tantilising soundtrack of an eager V8, and the shove in the back as the car dashed towards the horizon. Addictive stuff. Even my new girlfriend enjoyed it. She’s now my wife. The car wasn’t a keeper, but the smiley lady was! If anything, I spent too much time with the car – long enough for the horrifically poor ride to become very tedious indeed, and for the nasty plastics of the interior to really get on my nerves. I wasn’t that upset to swap the keys and return to the delights of my little Tin nail. My passenger for the day I found rather more enjoyable on a long-term basis, so I married her.